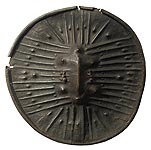 All of our shields below have been sold and are left here for research and educational purposes. 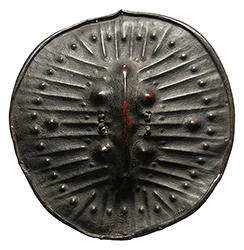 Most Ethiopian shields are made from a very thick, tough leather, said to be hippopotamus hide. They are stretched and hammered over (often elaborate) wood forms, dried and removed.